| Nothing new from Neeson, in a good way (and a bad way). If you've seen one Neeson film, you've probably seen them all. 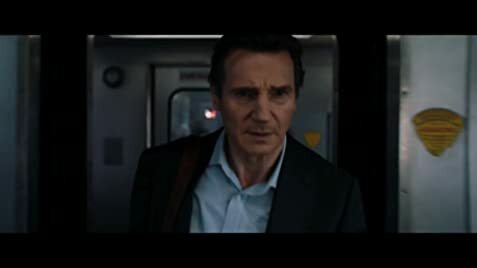 Despite having already mastered the art of playing the grizzled, independant tough-guy, Neeson is back with The Commuter, in which he plays an unsuspecting ... well ... commuter, who is drawn into a criminal conspiracy which could kill everyone on-board. It's a familiar sounding plot, but it's one that Neeson excels in, in fact, he may be too good at it by now. With all that said, The Commuter, much like Taken, Taken 2, Taken 3, Non-Stop, A Walk Among the Tombstones, Run All Night and Schindlers List, is another fun Neeson film which you'll probably enjoy much more than you'd be willing to admit. Second collaboration between Jaume Collet-Serra and Vera Farmiga, following Orphan (2009). Michael MacCauley: What's in the bag? The train Neeson's character rides is the Hudson Line of Metro-North, yet the station stops depicted as he returns home from Grand Central Terminal to Tarrytown are clearly NYC subway stops (86th Street, etc.). Metro-North commuter trains do not share train tracks or station stops with NYC subway lines. The end credits are done in the style of a train map.